Whatever side of whatever political divide you are on, these times will pass. The question is what will emerge on the other side. Do we want a world of hatred and division where people are divided and ruled by psychopaths and warmongers, or a world where love brings us together to create the world we want to live in? It’s not the Powers-That-Shouldn’t-Be’s choice to make; it’s ours. So what world do you want to live in? I like what you say in the video, but i disagree with you on one major point. you see, in my opinion, if everyone of us (every person on earth) was on the same mental level (and i don’t mean the same smartness, if such a thing exists), but on the same education and understanding level, then what you say does hold true. However, the majority of people out there are what i call “empty brains”, which is a direct result of the education system (or lack of) that happened over the last 100 years or so. and that’s the main reason you get people believing in ISIS, white supremacy and “Jewish” only state. So, people will not see the right path currently without a good “leader”, which is unfortunately gets appointed by the powers to be. Can we stop it??? I am not sure, but without enough leaders across the world (and we have few so far), i fear the answer is big NO. Every human, every animal that walks this planet is born with an innate knowledge of right and wrong. How that knowledge plays out in a human is up to the individual. Yes, I include ALL levels of knowledge. A backwater Appalachian knows the difference. The rubber meets the road in its execution. That is called free will. Free will can overcome jealousy, envy, sloth, greed, lust, pride, gluttony and destruction of your neighbor’s flag. Our world does not need more or better leaders. That idea is an ancient paradigm built by TPTSB to control the masses for their advantage. It assumes that humanity must be told what to do. It’s been so ingrained that you believe it. No leader is necessary among responsible people. Responsibility is exactly what James is talking about here. I am really sorry, but I strongly disagree with you. and sorry if it appears i am raining on your parade. However, People with “false/wrong” knowledge, will do the most evil thing, thinking they are doing good. google the “Prussian Education system.” for further explanation. of course, it does not mean religion is evil, but it does mean with the wrong believes, you can make good people do bad. We have had hundreds of years of indoctrination with the wrong knowledge., now we need “leaders” to lead us into becoming the people who believe in their innate knowledge, and forget about the evil indoctrination’s we have been brain washed with.. (empty brains syndrome). we need more people doing the “waking” up… they are the leaders we need. For people who believe in Armageddon…. it appears with the selection of Trump, the count down for Armageddon has just started. I wounder how long it will take to see a clear winner?? Hold on, i don’t think there will be a winner.. i think it is guaranteed destruction for all. (in the New Testament) the last battle between good and evil before the Day of Judgment. a biblical hill of Megiddo, an archaeological site on the plain of Esdraelon, south of present-day Haifa in Israel. the place where the last battle between good and evil will be fought. a dramatic and catastrophic conflict, typically seen as likely to destroy the world or the human race. On this point I strongly dissent. With all of the sources that this site brings us it was obvious that the oligarchy wants a big conflict and Trump, having been caricatured as Putin loving by the MSM, is not of that opionion. The sources are plentiful on this account. Two things we have to keep in mind… Trump before the (S)election, is not going to be Trump after the election. During the next 30 days, he is going to go through full briefing which will result in him changing his mind about many things. That said, I am not worried about the conflict between Russia and USA…I am more worried about the conflict that will happen in USA…. Dynamic anecdote! … with the message that we as individuals can lead in shaping a more benign world. One method we can use is “redirection”. The little girl who was frustrated chose the wrong target towards acting out her frustration. Angry/frustrated people often dramatize towards hitting at wrong targets. EXAMPLE: The hypercritical person who strains at fault-finding even towards his ‘friends’ is like the frustrated little girl who strikes out at wrong targets by demeaning others. We can redirect people’s attention towards proper targets. In other words, we can redirect people’s attention towards something that they will have some agreement with, something that is real to them, but which also offers a chance towards greater insight. “The Powers That Shouldn’t Be” direct people’s attention all the time. We can gracefully redirect people’s attention towards a more fruitful area. “Grace” and “humor” can be excellent tools in “redirection”. We have many tools (methods) with which to create a better world. “Redirection” with benign grace and humor are some methods we can use. As you refer to Trump as just another oligarch, I’ll be ever so curious to see if he makes good on his campaign promises. While campaigning in South Carolina during the primary, he vowed to expose who was behind 9/11. I’ll believe it when I see it. At the same time, we have hope. Of course The Donald has also revised history, speaking of “Dancing Muslims” on 9/11 who we all know were actually dancing and celebrating Israelis. The Donald has also pledged total support to Israel, a more than likely key perpetrator of 9/11 and even recorded a personal endorsement for Netanyahu, who is also high on the 9/11 suspect list and has said that 9/11 has been very good for Israel. That is only scratching the surface of Trump’s ties to the perpetrators of 9/11. Any promises or proof he offers uncovering the truth about 9/11 are smoke and mirrors. I get that people are celebrating the blow to the oligarchy that Clinton’s defeat was, but Trump should be treated with the exact same amount of scrutiny as anyone in the Clinton/Bush dynasty when it comes to 9/11. His ties with them run deep. Our only hope now is that a Trump presidency provides enough chaos that Putin can gain a stronger foothold against the NWO in the coming years. Putin, China and their allies represent the latest “axis” that is fighting to stop the NWO. America has long been the stronghold for NWO globalists and any leader it elects is beholden to the power of the shadow government, Trump is no exception. Pretty sure Putin is in on the whole scheme, he’s no savior. What makes you say that? He’s specifically called out the New World Order and has moved into Syria to slow the US/UK/Israeli conquering of the Middle East by preventing Syria from falling to the “moderate rebels” (aka ISIS, CIA, Mossad, SAS). Putin is the lead voice in establishing BRICS, an economic bloc that threatens the banking oligarchy, hence the enormous amount of propaganda against him personally. He’s clamping down on the Soros funded NGOs that threaten Russian soverignty. He’s moved Russia to a market-based economy and dramatically lowered taxes and improved the quality of life for the Russian people, who adore him, and hate the west. He’s constantly moving the chess pieces against the UN and EU who are trying to undermine the former Soviet nations that want to rejoin Russia. NATO is trying to surround and dominate Russia because it is a threat to the NWO. He’s playing a subtle hand I’ve overlooked if his actions are somehow aiding the NWO. I hadn’t seen your comment when I haphazardly cranked out mine last night. Of course Trump is under zionist control. In fact, to be honest, I don’t understand why anyone considers that Trump is a blow to the oligarchy? The Clinton’s were indeed at Trump’s wedding, it would seem. I know appearences can be supremely deceiving and some of the most powerful architects of the NWO thrive on chaos, including any Trump’s election might generate…? I always thought Trump was there to hand the election to Clinton and though this did not turn out to be the case I’m pretty sure they’re complicit. At any rate, the establishment allowed him to run in the first place. Right, you echo my sentiments exactly. I thought he was controlled opposition, but must only theorize now that things got out of hand and they couldn’t convince the American public that they actually elected Clinton. Or maybe they are going to use him as a whip against Iran/China. Who knows? I just know that him being allowed to win is proof alone that he is owned. In a world that is out of kilter with things in general I believe that our common humanity is important and to be recognised. Love and peace is a powerful force and I do believe that the world is waking up to this. Love and peace from Paul in England. James, James, James…your analogy of the little girl and rainbow flag. Brought a tear to my eye, I couldn’t see for minute…and that threw me off cause I’m a troll, and trolls have only one eye. Now mine you I am a very old troll, as a matter of fact I am the first internet troll. Aha…yes sirree bob, there was a first troll, a sort of neutered Adam and eve of trolls. Well my name is not adam, and my little wifey is not eve, I don’t think eve had one-eye…did she?… but you get the point. Ah I remember the old days of the internet, long ago working on an old 366, typing Dos, floppies the size of sunday school pancakes… young Bill Gates was selling windows out of his garage. And then he got into the computer business. Now look at that schmuck, thinks he owns the world. Anyway I digress here, I should get to the point…trolls have Irish origins and are very argumentative. and jumpin purple unicorns they are long-winded. Trolls have spent too much time on the internet in this particular election, and I as an old troll I have watched the level of authentic trolling drop to below acceptable levels. Comments have become more vicious and hateful, flying back and forth from Trumpites and Clintonets. The level of vitriol has risen, the negative feed-back consciousness is beyond belief. I have watched and groaned…knee-jerk reactions! It’s atrocious James, everybody standing in the other persons light. Using their hard-won research as a blunt instrument, rather than a reward to be shared in truth. Light to a darken mind. I think in the end, listening and hearing the other opinion first, before a reaction. Thinking about it, pondering the point/s on the other sides; placing oneself in and on a position of objectivity, and then in the end, voicing an opinion with terse facts and polite rhetoric. As in, a gentleman’s conversation. Granted, sometimes a tiny bit of barney may season the dish. And get others to listen to your well thought out plea. In the trollery of today’s internet, lies, slander, malice, hate and bullying are ok….bullying especially has become a favorite food for trolls…all this is not good. They are the signs of an untrained mind. An anxious and unloved spirit. A box of matches in the hand of a smart child. We need to behave…we need to raise the level of decency, and in the final. Voice our opinions from a position of love as you say. I wish every person in the world hear this. What I have found particularly strange about this election cycle is the number of minds in the Independent Media for whom I have great respect that have sneered and scorned and dismissed the powerful lift-off of energy this election by the American PEOPLE have provided the world. Americans took a risk in this 2nd PEACEFUL Revolution as big as it took in the 1st war ravaged Revolution. Americans voted for the UNKNOWN Trump over the KNOWN, very much bought-and-paid for TRAITOR Hillary Rodham Clinton. I am an Independent – never belonged to either the Demons or the Repugs. However, I sensed the opportunity that was being offered the WORLD through this INDEPENDENT candidate Donald Trump running on the Repug ticket. I saw a human being, huge warts ‘n all, take on 16 traditional Repug candidates to win a nomination and then turn his attention – with ZERO SUPPORT from his Repug party leadership – to defeat the Globalist Communist Socialist Sell Out of the American Dream Hillary Clinton – and WIN! I marveled at his courage and strength to speak TRUTH to POWER. I watched his transformation through his speeches from a molotov cocktail designed to explode reality as we know it into someone who GENUINELY CARED for the people he met while campaigning. 3) the turning away from GLOBALISM toward NATIONALISM – not the most ideal solution except that by turning within to fund America it will deprive the Military Industrial Complex of its unending, unceasing funding of WAR. As Trump says, it’s time to rebuild the Inner Cities and the American infrastructure. In truth, it’s PAST time. This vote by America is bigger than BREXIT. It will propel the dismantlement of the European Union through DIRECT trade with Britain, Russia, Mexico (taxed to build our wall) and Canada. So sad that this incredible victory of the American people for the entire planet is so sneered at and scorned. And yes – LOVE is the answer. Love is the cure. James, thanks for yet another fine piece of work. This piece works so well in my personal life, as I am aware that “we” are constantly emotionally and physically manipulated by TPTSNB. I have previously posted of my former political activism w/ GOP, and just this weekend made the decision not to cast a ballot. This was before viewing your Larkin Rose piece. That just reinforced my conviction that I was choosing the right path, not lending credibility to an evil, ugly system of deception and enslavement! Well, guess what… the sun rose this morning, my wife still loves me, my garden is still producing food, and the talking heads are still talking. And, I have elevated myself above the din, by not participating in it. Feels great. This thought, delivered by a bleeding heart leftist, with the thought that “it’s for the children fer chrissakes!”, you know, cumbya style would have immediately turned me off! But the reality of it is, all that we do should always be about the children, and as we teach them to be humans, we learn how to be human. The children and their drawings make a great analogy. We never truly grow up, do we? It reminds me of your words yesterday about voting, that the demoralized voter simply wants everyone around him to be just as enslaved as he is. Politicians/elites feed off of the pain and anger of the have-nots and the greedy and corrupt. This is a powerful message. We need only look inward to bring about real change in the world. Every single action is either a step closer to freedom or slavery. There hardly needs to be any coordination of the masses if everyone looks at their actions, and does what is right and not just what is expedient. I also want to say, since this is one of my first comments on the site, that the work done here is so important, and I am so proud to support it. James, thanks for the words of encouragement, and I hope they reach far and wide. I have read and seen much of your work over the last several years, and it is the most impactful and insightful I have seen in the truth movement. I voted hard in 2008 and 2012 for Ron Paul and in 2016 for Rand Paul, and became very disillusioned and disconnected as a result. I have discovered that I have pretty much always been an anarchist and always will be. I did not vote yesterday and won’t likely vote again. I regret not becoming a supporter sooner! Welcome, I seldom comment either. But this IS a community… of aware, concerned people who care. As to your NOT voting, feels great doesn’t it? Once one becomes aware that your vote does not matter, by removing yourself from the fray, you rise above the emotional roller coaster. I am pleased by the Selection, but I have NO illusions, I do not expect to see any earth shaking changes. I’d love to be wrong, but I’m not holding my breath either way. Again, welcome, you are a part of a community of people that are aware, care, and seek a better world. 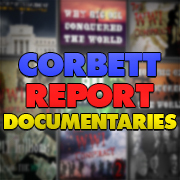 Hi James and all fellow Corbett supporters and followers. I have to say it, I am absolutely gobsmacked and flabbergasted by the outcome of this presidential election. Which leads me to think something went wrong? What could lead to this anti- establishment outcome? Could it be, that it would have been too blatant to mess with the voter outcome at this time? Could it be that something influenced the behind doors decision making? I could not agree more when Julian Assange stated that they would not permit Trump to be in the white house, and frankly, I couldn’t agree more when Trump said to not accept the outcome and start an investigation if he would lose. Not in my dreams I would have thought Trump would even attract enough votes to begin with, funny enough, he did! And as happy as I am to see “Illary” lose, I have to wonder if they have another plan, a plan B in the making. And why? Has the establishment become careful of its actions this time? And Did Assange have an influence by stating what was planned to happen? Could it be that they could not risk an investigation by someone who has the actual means to do so?? 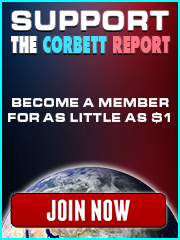 Thanks to Corbett Report and all who make this media outlet possible! As always, thank you for the great work that you do. As far as I can tell I was put on earth to rain on people’s parades. What you’re describing in short is “divide and conquer.” The modern means of communication, and the general debasement of the mass public, make it both uglier and more effective.We live in a materially monstrous time–the time of quantity, not quality, of mass, hence the rule of the lowest, not the best. The degeneration of mass culture everywhere bears witness to this debasement; it is glarinly obvious. What is missing are real principles, discernment, moral conformity to principles, courage. The love that is missing is above all love of the higher things, of truth, not sentimentalized love, but of what principle and discernment reveal is the Good. “Love” is assuredly not the solution–as if humanity were composed of saints, rather than of those who–to use a Biblical metaphor–go by “the wide gate.” Namely a humanity greatly in need of a total regeneration. What faces us nearly are wars. Modern, materially monstrous, industrial civilization, is essentially suicidal, totaly at odds with the profound nature of things. I’m finding it difficult to make sense of what has transpired with the election of Donald Trump. Am I too ignorant to understand the Donald has no intention to effect positive change in the good ole USA? Is the only thing true and honest in this world love? I agree with James’s sentiments, that we all hold great individual powers, including the power of love and the choice to exercise our free will. Nonetheless, political power is also real. I will be watching closely all the while my sceptic meter cranked to 11. Beautifully said, James. Thank you. TPTB exploiting our conditioned failings & hard wired frailties via exaptation. I listened to the first podcast yesterday about the immorality of voting and for a while it seemed like a good excuse why I should not bother… But finally, I got up in mid-afternoon and walked over to the voting station and voted for Donald Trump. A first in my long life — I’ve never voted Republican but it has seemed to me the few times I’ve watched Trump that he gets it. He sees what the “psychopathic elite” wants and he wants to foil it. And I’m in that camp. I confess that I wanted to hear just one person speak positively about this election, talk about the people behind the NWO and what Donald Trump’s hopes for America might be. I began to think that all of the media, including Amy Goodman, are dimwitted and out to lunch. Completely unable to see that the way they present the issues has a powerful impact for positive action or for defeating us all. 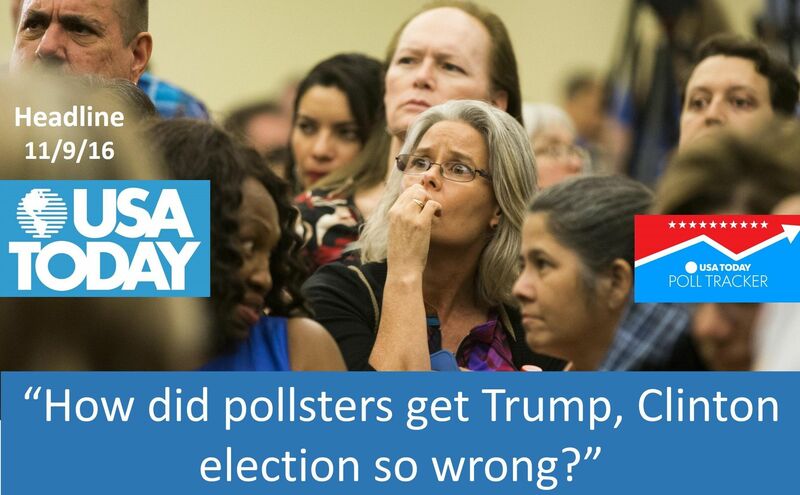 I watched Trump strolling into his voting station, heard him being booed — and of course the lame stream media had to report this because with the exception of Robert Parry who wrote a very cogent summation of the what and why of this election, there was nothing but more Donald-bashing and not a word about the terrible prelude that brought us to this place. Well, that’s my two cents and a word of gratitude. When I began to feel desperate for some kind of worthy input, James Corbett immediately came to mind and my intuitive guess was right on target, so… THANKS! Your editor will tell you that this is a well known phenomena in Australia, known as “Tall Poppy Syndrome”. James, this is an important message you’ve given. One suggestion: What you are describing as “human nature” is actually “sub-human nature”. Most people in this world are living within the first three stages of life that were described by Adi Da Samraj in many places, including in the book, The First Three stages of Life. Very few human beings have made the “leap to hyperspace” into true human adulthood. We are still trying to stand upright, so to speak. Most have not successfully completed their infancy, childhood, and adolescence. So, this is a mistake we commonly make, considering how we seem to have these characteristics that have us making war on each other (sub-human nature). Some of us have moved beyond that stage and understand the insanity of such activity. Thank you for your excellent work. Yes, love versus hate is an important issue. I hope you will explore it further. It’s an issue I have spent a great deal of time and energy wrestling with. The purpose of my reply is to point out that the love-hate dimension derives from a more fundamental dimension. It is necessary to take this more fundamental dimension into account to make sense out of some of the paradoxes that love-hate confronts us with, e.g. : how can deep love suddenly change into deep hatred? That fundamental dimension is trust-distrust. The sudden change from deep love to deep hatred will be exposed as betrayal of deep trust. I want to keep this brief, so let me assert that a synonym for ‘distrust’ is ‘fear’. So, James Corbett, I beseech you to reconsider the love-hate dimension in terms of the more fundamental dimension of trust-fear. Those behind the NWO are virtuosos at viciously playing the trust-fear dimension. Thanks for venturing into this emotion-laden area. I dream of ordinary people becoming aware of having their trusts and fears exploited, and of them being educated/trained to defend themselves against the ongoing info-war waged against them/us. « Voting is the Problem. Here’s the Solution.